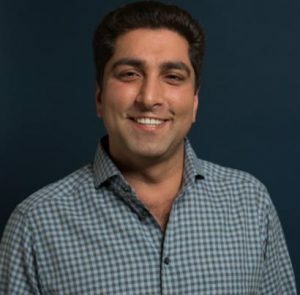 Ravi Chatwani is Co-Founder and Co-CEO of Prosum, a privately-held, technology services company with over $40 million in revenues and over 250 employees. Prosum provides Managed Services, Microsoft Solutions, and Staffing Services to the Los Angeles, Irvine, Denver, and Phoenix markets. Prosum has been ranked the 7th Best Companies to Work For (LA Business Journal) and multiple times on the Inc. 500. Prior to Prosum, Ravi worked with wireless data technologies for public safety and military after working eight years as a Sr. Systems Engineer at Hughes Aircraft Company. Ravi received his both BS and MS degrees in Electrical Engineering from University of Southern California (USC) and his Entrepreneurial Masters Certificate from the Massachusetts Institute of Technology (MIT). In addition to Smart Axiom, Ravi is an active member of the Young President’s Organization (YPO), a board member of the Los Angeles Regional Food Bank, and a board member of Adriden Global, a private intelligence agency. Ravi’s passion is leadership, and he speaks about Core Leadership Secrets to startups, entrepreneurs, and, as a guest speaker, for university MBA programs.